Richard Kienzler is a Partner in the Litigation Practice Group. Rick concentrates his practice on Complex Commercial Litigation and he has practiced in state and federal courts and experienced all stages of litigation, from pre-trial motion practice and discovery through trial, post-trial proceedings and appeal. Rick’s litigation experience includes work on a wide range of matters involving contract disputes, fraud, misappropriation of trade secrets, employment discrimination, insurance coverage disputes and the defense of class action claims. 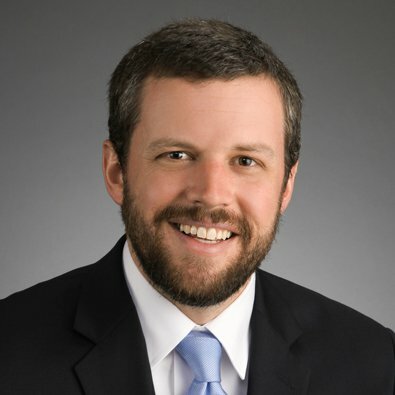 Since joining Freeborn, Rick has gained significant experience with litigation involving restrictive covenants in employment agreements, such as covenants not to compete, and has been involved with the prosecution of and opposition to temporary restraining orders and preliminary injunctions. Beyond litigation, Rick has experience drafting workplace policies, employee handbooks and employment agreements for a wide variety of companies including healthcare facilities and travel companies. He began his legal career at Funkhouser Vegosen Liebman & Dunn, Ltd., where he gained both litigation and transactional experience, mostly in employment law. Rick then served as a law clerk to Magistrate Judge Maria Valdez in the U.S. District Court for the Northern District of Illinois and gained experience with all types of federal lawsuits, including those alleging civil rights violations, those alleging violations of intellectual property rights, and many things in between. Most recently, Rick was associated with Tressler LLP, where he concentrated his practice on resolving insurance coverage disputes arising from lawsuits involving allegations of violations of consumer protection statutes and intellectual property statutes. Author, "Court Recognizes People (Occasionally) Evade Service; Rules Statements in Returns of Service Do Not Necessarily Equate to Actual Knowledge About Matters Asserted Therein." Civil Litigation Flashpoints, published by the Illinois Institute for Continuing Legal Education, June 2013. Author, "Ready or Not, Here Comes the Statute of Limitations: Illinois Appellate Court Rules the “Discovery Rule" Inapplicable to Claims for Conversion of Negotiable Instruments," Civil Litigation Flashpoints, published by the Illinois Institute for Continuing Legal Education, September 2012. Author, "No Case of Mistaken Identity? No Amendment Adding Time-Barred Claims Against New Defendants," Civil Litigation Flashpoints, published by the Illinois Institute for Continuing Legal Education, August 2011. Co-author, "R U At Risk :( ? Insurance Coverage Implications of Text Message Advertising," Issue of For the Defense, published by the Defense Research Institute, May 2011. Panel moderator, "Communications 101 Panel," Chicago Bar Association. Panel moderator, "Alternative Careers Panel," Chicago Bar Association. Panel moderator, "New Partners Panel," Chicago Bar Association. Speaker, "The benefits of completing externships during law school," Loyola University Chicago School of Law, September 2012. Panel moderator, "40 Under 40 Attorney Panel," Chicago Bar Association, Spring 2012.